Want it by Wednesday 24th April? Order within 3 days, 20 hours, 35 minutes and choose Next Working Day - Kerbside Delivery (Order Must be Placed by 2pm) at checkout. Another fantastic example of our Engineered flooring - our Purity Brushed and Oiled Oak floor will add class to any home and set your home off from first sight. 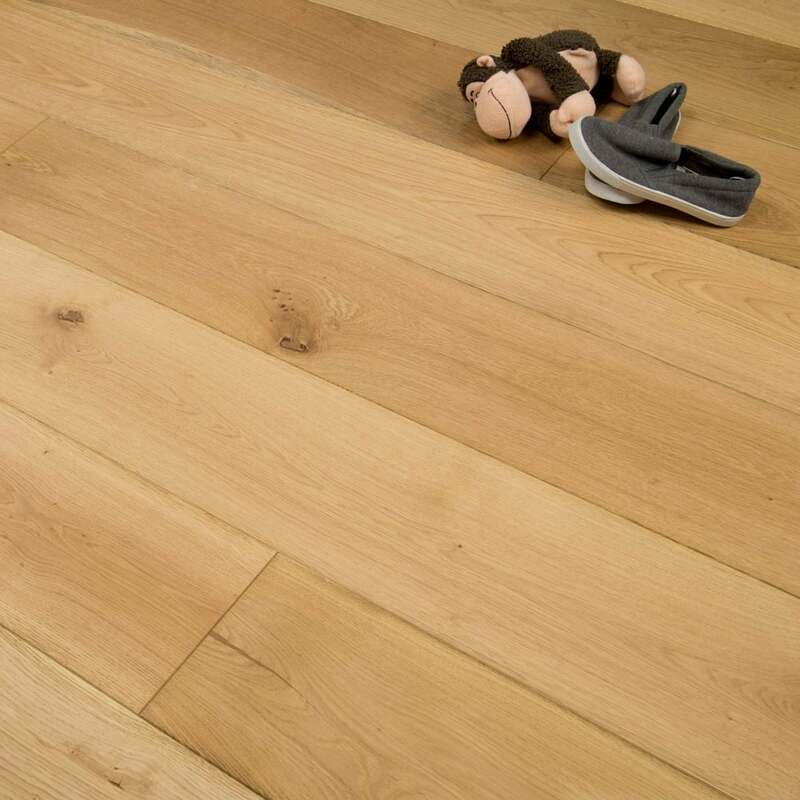 The planks are 190mm wide and this floor has a slightly lighter shade, so the most perfect setting for it would be a large room, with plenty of light, however this floor will not absorb light from the room so exposure is not a massive factor. With a Tongue and Groove installation system your fitter will be able to lay this quickly and it will age beautifully within your home for years. As this is a natural oak top layer, it can be sanded down and retreated, however if left to age, it will gain more character and personality as the years go on. It's non oak layers are made up of high density fibre/plywood, which adds to it's durability and hardiness against everyday wear and tear. As it's an oiled floor, should any serious damage happen to the floor, it is possible to re-oil the floor which should take the worst of the damage out visually. Not only is this floor highly durable, stylish and full of character, it also feels amazing too - it has been "brushed" with a metal comb to really accentuate the natural grain of the floor, meaning that it will feel even more authentic and natural, adding even more to its appeal! Our suggested colour scheme with this floor would be calm and mellow themes, helping to create a relaxing and inviting home for you and your family. Don't take our word for it, order a free sample today!